What we choose to eat every day plays the biggest role in maintaining good health. 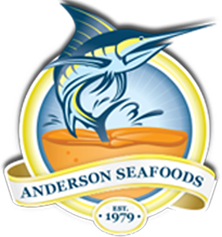 Our seafood offers an ample source of protein and vital nutrients such as Omega 3's. The American Heart Association recommends eating seafood at least two times a week and offers recommendations for Omega-3 fatty acid intake for different members of the population. For good sources of fish oil from fish sources, you're looking for fish such as salmon, tuna, mackerel, herring, trout or halibut, and other sources of oily fish. Among salmon for example, there are species of salmon that are richer in omega 3 fatty acids than others, notably Atlantic, Coho, and Sockeye salmon are more abundant in omega 3's. The Journal of the American Medical Association found that modest consumption of seafood reduces risk of coronary death by 36 percent and the rate of death by 17 percent. Researchers found that the health benefits of eating seafood outweigh the potential risks. 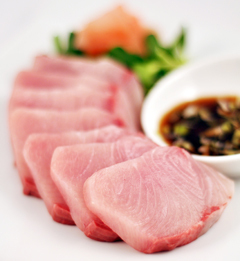 Modest fish consumption, which is characterized as one to two times per week, especially species that contain high levels of omega-3 fatty acids. Omega-3 in Fish - How Eating Seafood Helps Your Heart: Two federal sponsored studies have also concluded that eating seafood can help your heart and reduce your risk of dying from a heart attack by a third or more. Tufts Researchers Find That Omega-3s Can Reduce Risk Of Cardiovascular Disease: Research associates at Tufts-New England Medical Center concluded that by increasing your consumption of Omega-3s, you can "reduce the rates of all-cause mortality, cardiac and sudden death, and possibly stroke." Heart Health Benefits of Omega-3s: Research has found that Omega-3s can help survivors of heart attacks reduce their risk of mortality from heart disease by one half, in comparison to those who do not consume these essential fatty acids. Moderate Seafood Consumption May Reduce Risk of Sudden Cardiac Death: Research published in the Journal of the American College of Cardiology also found that moderate consumption of fish rich in Omega-3s seems to have a direct effect on the heart's electrical function, which determines the rate at which the heart beats. By eating seafood once or twice a week, we may help to lower the resting heart rate and slow the time between when the heart is signaled to beat and reduce the risk of sudden cardiac death.